“Eghobamien’s individualistic musical characteristics, to be immediately recognized as his own as he becomes better known by the public, involve a mixture of styles converging into a singular approach. Most prominent is Eghobamien’s careful attention to words as discrete elements to be investigated for their sound, meaning, continuity, vowel extensions, emotional evocation and usually soft vocal decay." With Brazen. Simple. 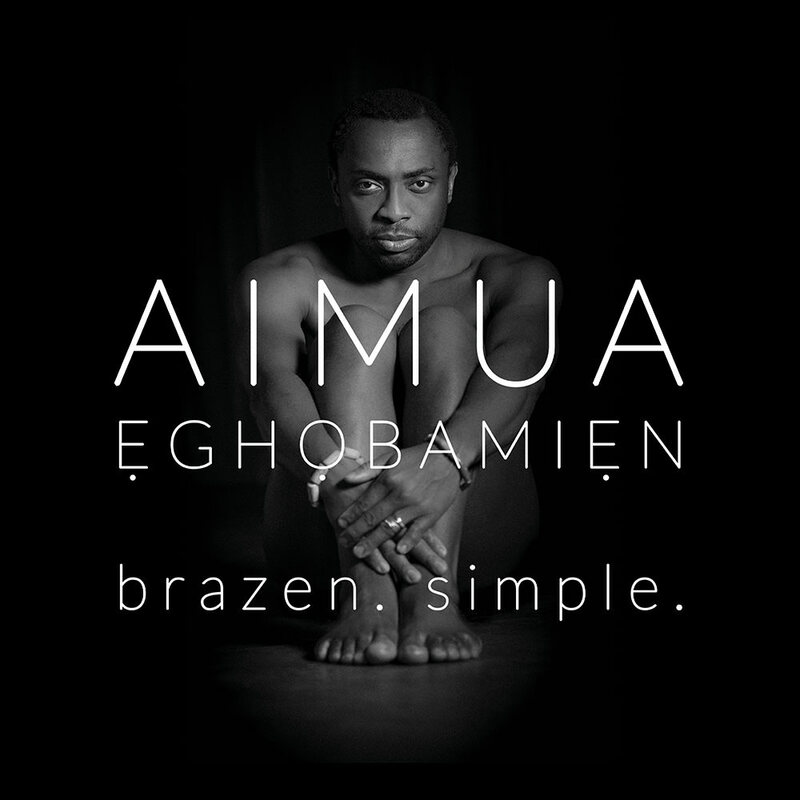 poet and singer-songwriter Aimua Eghobamien brings us his unique brand of post-beat urban contemporary jazz with his equally boundary-pushing ensemble consisting of double bass, piano, marimba, string quartet and West African percussion. Tracks 1-11 – contains material which utilizes a limited amount of the available bandwidth.